Kids can't have all the fun on Halloween. Whether you're going out trick or treating with your family, of heading to a spooky party for the grown-ups, adults deserve to have a little fun on Halloween, too. 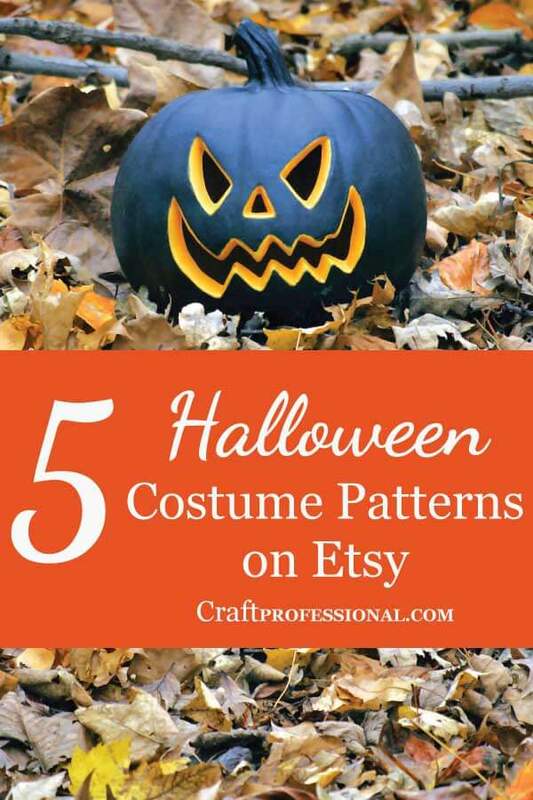 Here are 5 adult Halloween costume patterns from some talented designers on Etsy, so you can create your own spooky fun! 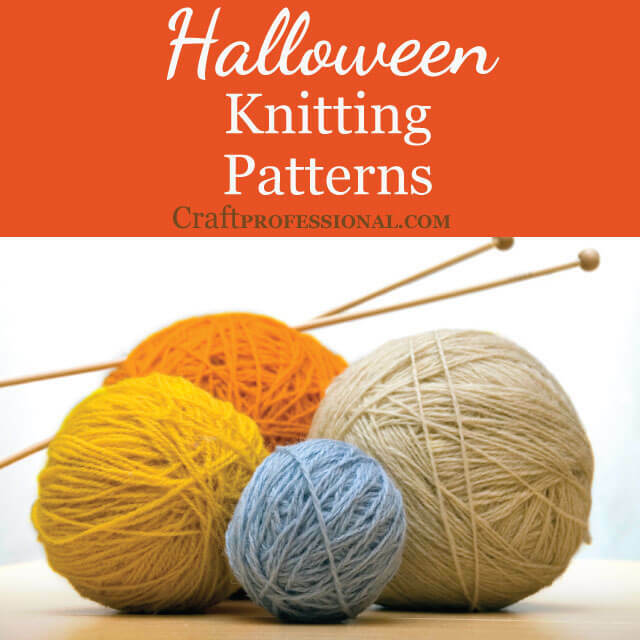 Click to find the costume patterns featured in this video & more. The Oxeye Daisey Shop is absolutely spectacular, and their masks are particularly beautiful. I really recommend having a browse around the shop. 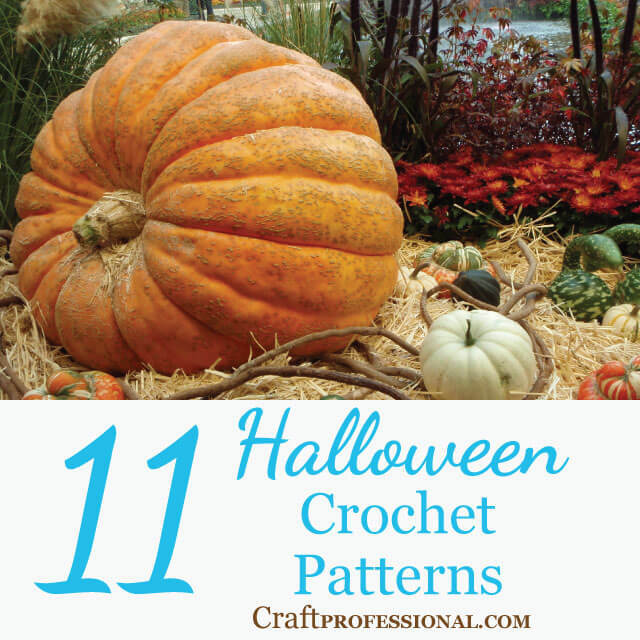 You'll have a hard time choosing your favorite pattern; there are so many gorgeous options. I do love this beautiful leaf pattern that requires a bit of sewing. 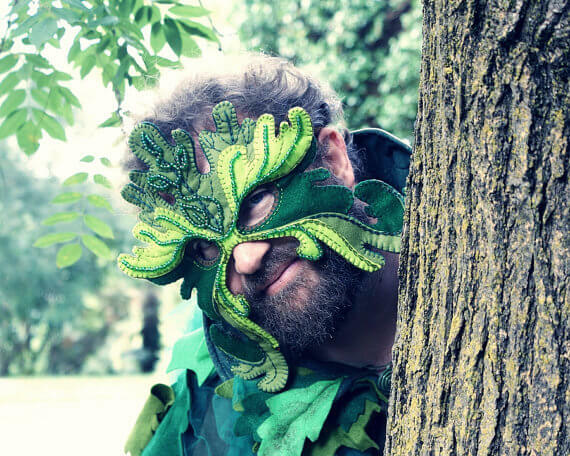 I can imagine a stunning forest-inspired Halloween costume with this leaf mask as the focal point. Or keep it simple; just add a green top and brown pants, and you have a spectacular costume. 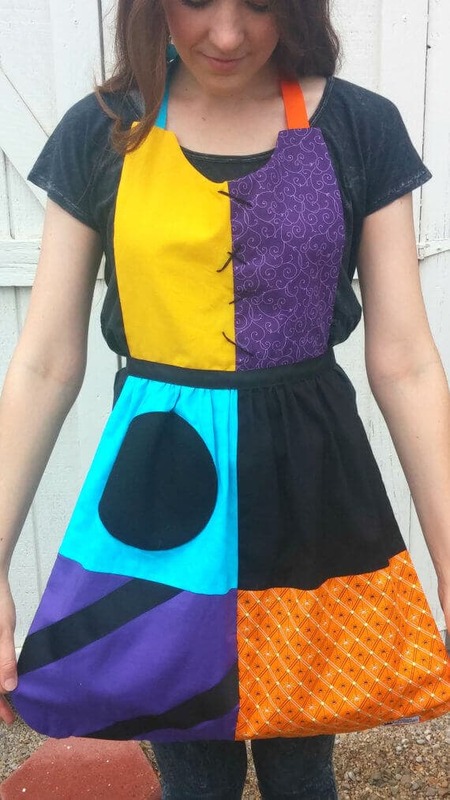 Sally from Nightmare Before Christmas makes a fabulous costume, and this apron pattern from Queen Elizabeth Aprons will help you get the look. Once Halloween is over, you can wear the apron in the kitchen for some every day fun! If Nightmare Before Christmas isn't your thing, still check out the shop. Maybe you're more of a Disney princess or a super hero type. They have loads of beautiful patterns to suit anyone's preferences. The aprons fits women sized 0-12, and there are child-sized apron patterns available in the shop as well. Here's an easy, no sew Halloween costume for adults and children. 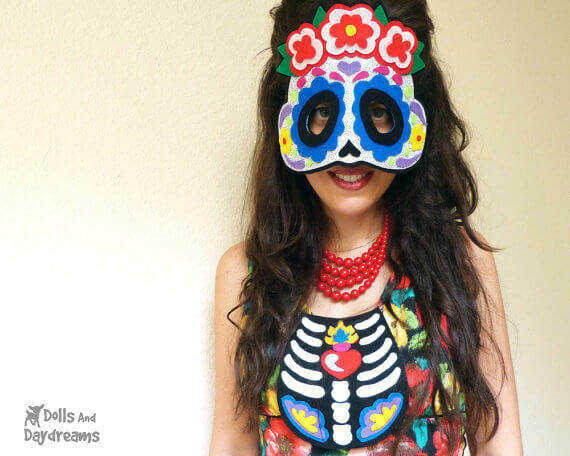 Make yourself a colorful Day of The Dead mask and chest plate with this simple to make pattern from Dolls and Daydreams. 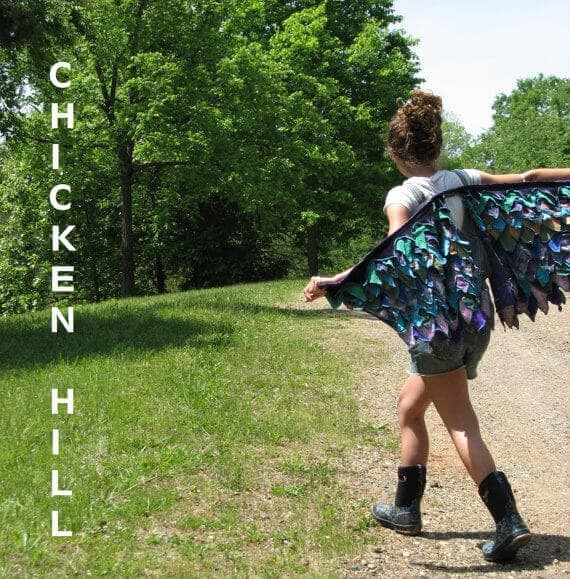 Chicken Hill is another spectacular shop on Etsy with a lovely aesthetic. There aren't a lot of patterns in this shop, but the ones you'll find there are absolutely beautiful! 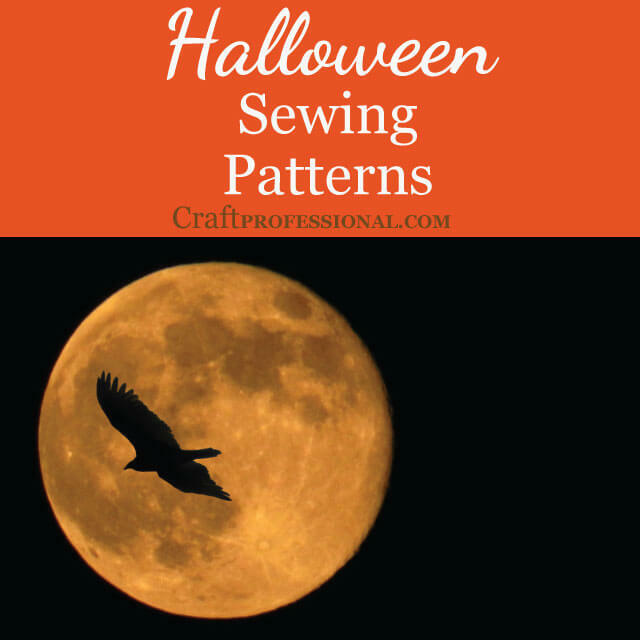 Use the Wings of a Birdie pattern to create an eye-catching adult or child sized bird costume. Want more Halloween ideas? Check out my favorites here. There are links to more adult halloween costume patterns, kids DIY costumes, and even costumes you can make for your pets!